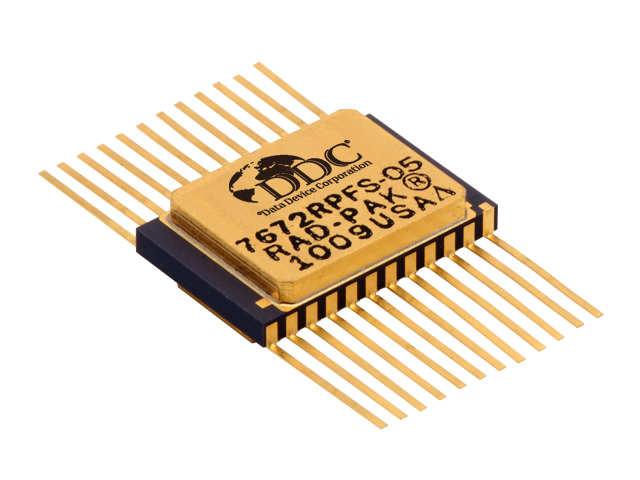 DDC's 7672 high-speed 12-bit analog-to digital converter microcircuit features a greater than 100 krad (Si) total dose tolerance, depending upon space mission. The 7672 uses an accurate high-speed DAC and comparator to achieve conversion time as low as 5 µs while dissipating only 110 mW of power. The 7672 is designed to be used with an external reference voltage. This allows the user to choose a reference whose performance suits the application or to drive multiple 7672s from a single system reference, since the reference input is buffered and draws very little current. 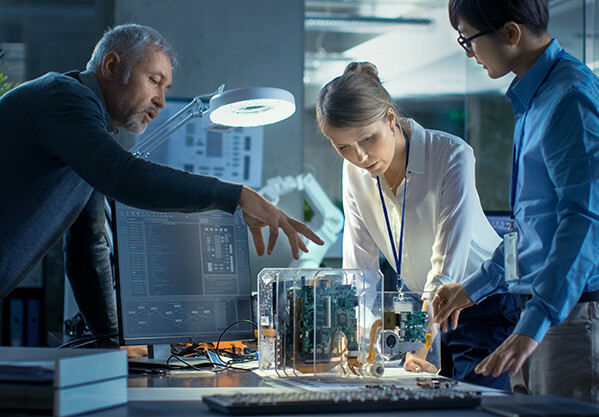 For digital signal processing applications where absolute accuracy and temperature coefficients may be unimportant, a low cost reference can be used. For optimal precision, a high accuracy reference where an absolute 12-bit accuracy can be obtained over a wide temperature range may be used. Analog input range is pin-selectable for 0 to +5V, 0 to +10V, or ±5V, making the ADC ideal for data acquisition and analog input/output cards. A high-speed digital interface (125 ns data access time) with three state data outputs is compatible with most microprocessors.